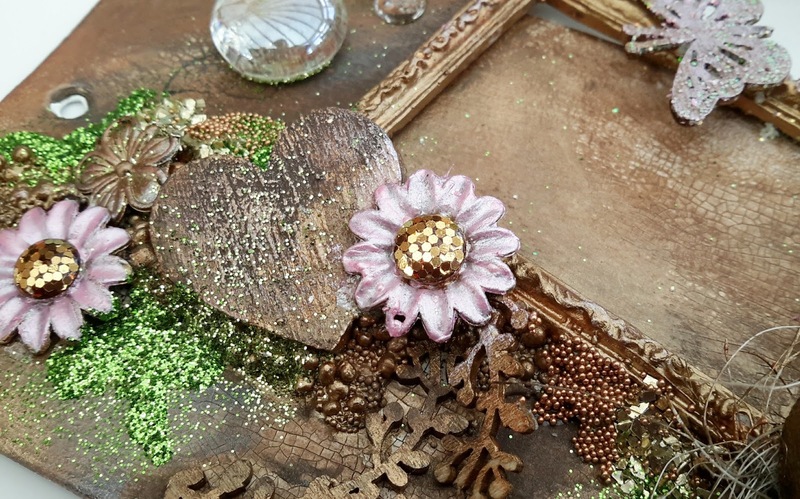 Today I have a mixed media tag that's simply oooooozing with embellishments. The tag is a heavyweight chipboard from Prima and measures 3.5 x 6 inches. Gesso'd first to prepare the base then a layer of white, crackle paste. 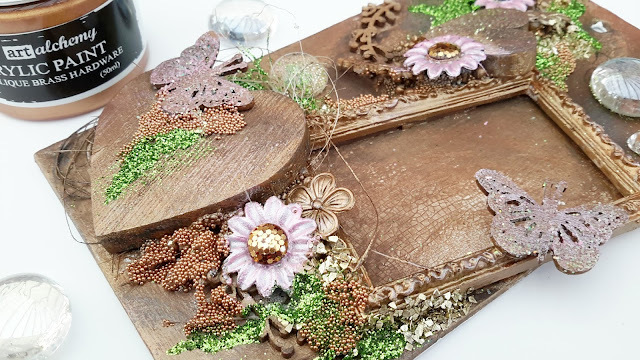 I decided to go for a rustic look with embellishments painted and waxed with browns, golds and brassy colours. 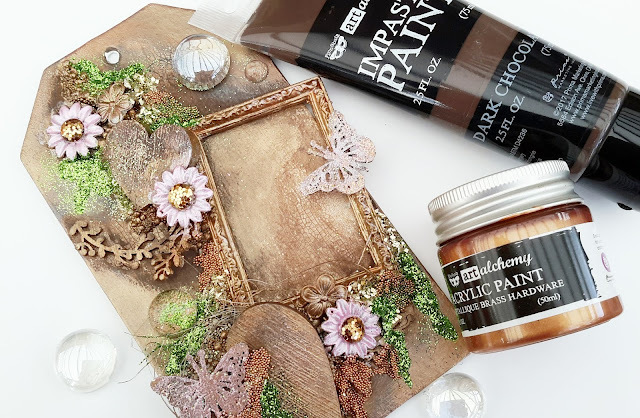 I used Prima Impasto paint and then a selection of acrylic paints and metallique waxes, again all from Prima / Finnabair. 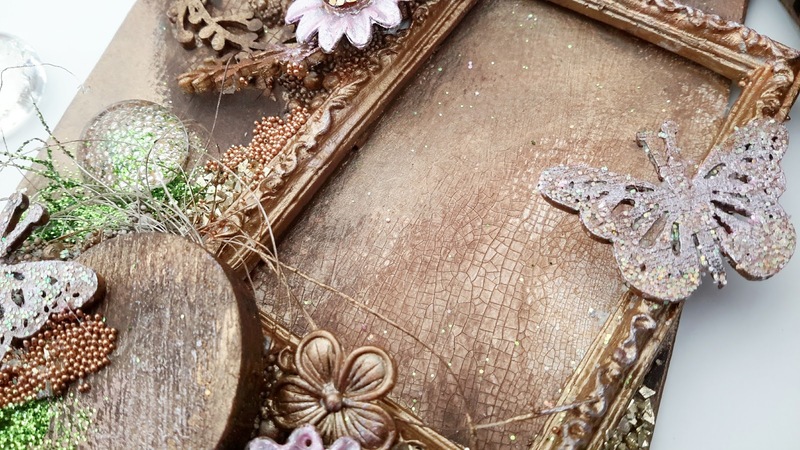 Lots of embellishments surround the picture frame, which has an opening on one side so you can slip a photo in. 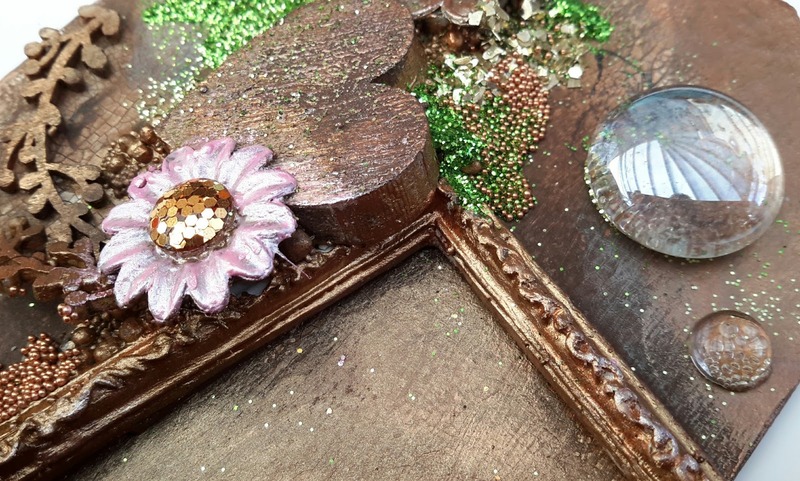 .... some wooden shapes and metal flowers. I painted the flowers pink in the end as I felt they were getting a bit lost being a bronze colour. A really touch, feely tag. 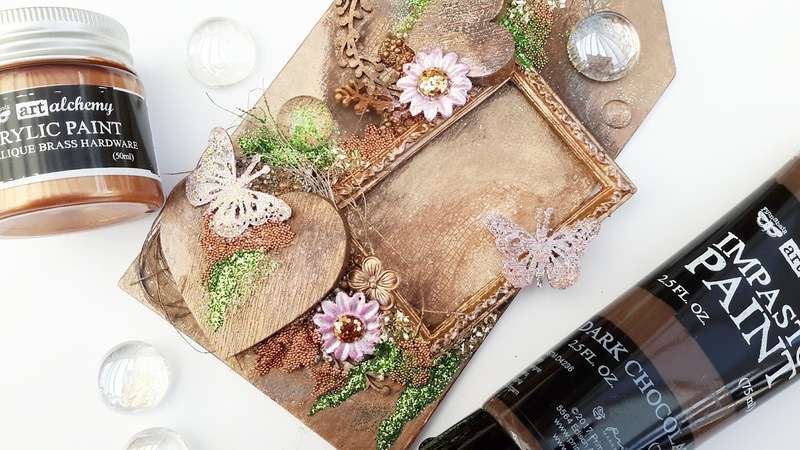 Just love your mixed media work!Keep it coming ,so inspiring! 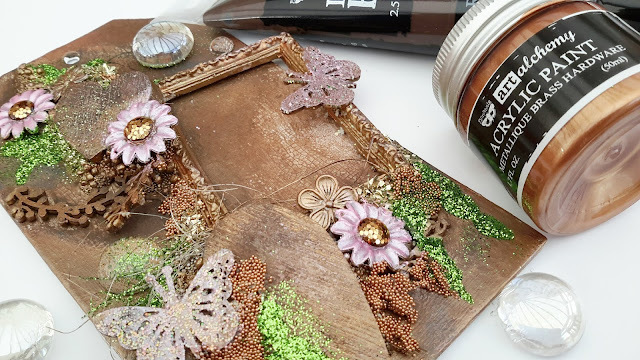 I love this mixed media tag also Jane..wonderful coloures and textures, perfect placement of all your bits and Il ove those micro beads..I'm going to get some of those, just to have..